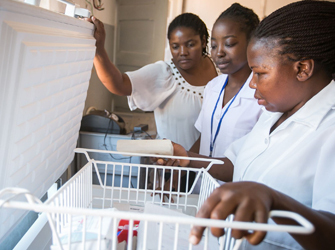 VillageReach has worked with the community and governmental partners to transform the vaccine supply chain in Mozambique, increasing access to vaccines at the last mile. 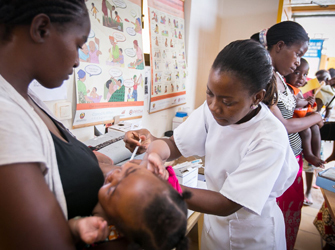 Improving reliable access to vaccines under these constraints requires a system-wide approach in order to achieve long-term, sustainable impact. 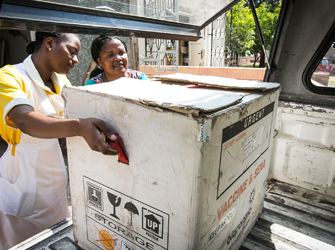 VillageReach worked closely with community and governmental partners in Mozambique to redesign the vaccine supply chain model. 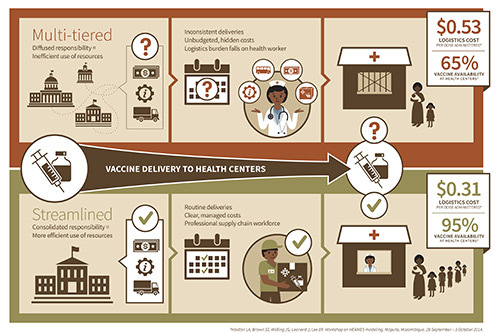 The results of these changes demonstrate how supply chain improvements made together as part of a system design approach can significantly increase vaccine availability at the last mile. The new system currently reaches more than 900 health centers serving a population of over 18 million. VillageReach currently provides technical assistance to provincial ministry of health authorities to support implementations and operations of the improved system in 9 out of 11 provinces as well as implementation of new strategies for continuous improvement and supply chain management. DPT-HepB3 vaccine coverage rates increased from 68.9% to 95.4% for children age 24-35 months. All other vaccines had similar increases resulting in an average coverage rate of 92.8%. 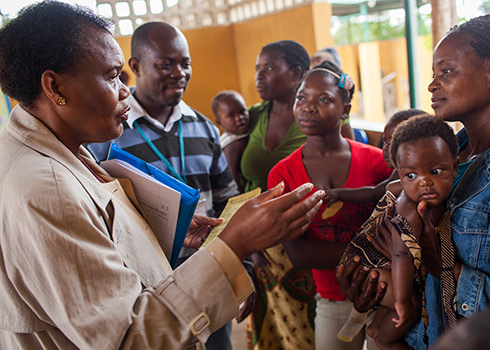 The reported monthly incidence of stock outs in rural health centers decreased from 80% to 1%. Up-time of the cold chain increased from approximately 40% before the project to 96% over a year after the conclusion of the project. 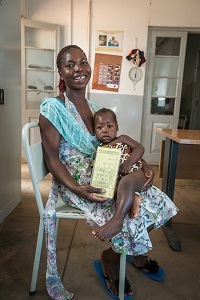 The DLS model was 17% more cost-effective, at $5.03 per child fully vaccinated with DPT-HepB3 compared to $6.07 per child vaccinated in Niassa where VillageReach was not engaged. The DLS system was also 21% less expensive per vaccine dose delivered: $1.18 per dose delivered vs. $1.50 per dose delivered. Now, the patients come every day, because they know that they will find vaccines. I don’t have to worry about going to collect vaccines, now they bring enough quantities.